As a photographer, you cannot often be seen without your camera. For devices like digital cameras that tend to drain batteries quickly, it’s a good idea to purchase a set of durable rechargeable batteries. That way, you’ll be able to enjoy your precious photography sessions significantly longer. However, due to the vast amount of different batteries available, finding the right type might be a daunting task. That’s where the eneloop batteries for photography enter the scene. The eneloop battery combines long storage with the durability into one. 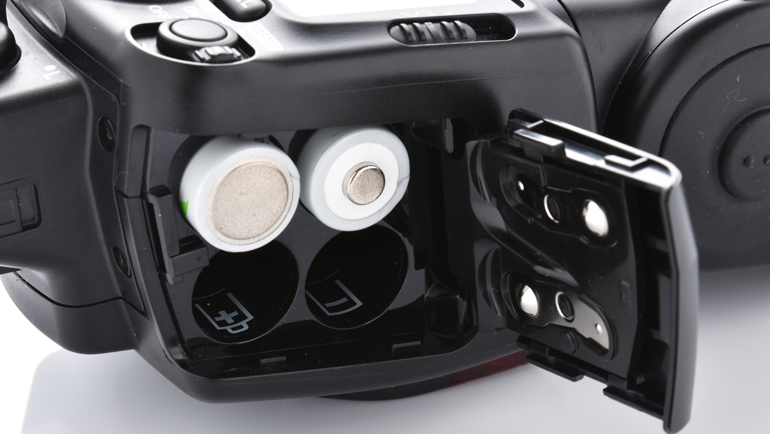 Using eneloop batteries for photography will ensure a power flow that remains steady as you’re using them. With their pleasing life cycle, you can recharge them up to 2100 times. Regular eneloop batteries are therefore ideal for your day-to-day camera use and are suitable for every type of camera. However, if you need a little more juice for your camera, the eneloop pro batteries might be a better option. They’re charged with a higher capacity compared to their regular and lite counterparts. You’ll have more power at hand for your sophisticated DSLR-cameras and separate flash guns. Important side note: every eneloop battery is able to withstand more extreme temperatures, from freezing mountain shots to hot summer days of 40°C. A rechargeable battery goes hand in hand with a proper charger. The eneloop chargers come in different types, making sure you’ll always have the charger most suitable to your lifestyle. If you’re an amateur photographer who likes a casual point-and-shoot session, the regular BQCC17 charger will do the job perfectly. Professional photographers might require a little more hands-on control. The new BQCC65 charger, our flagship charger, will allow for constant monitoring as well as efficient and fast charges. Thanks to the smart charge and the display, you’ll ensure a long lasting battery life. That’s what makes rechargeable batteries so great: you might have to pay a slightly higher price in the beginning, but you’ll end up saving a significant amount of money in the long run. And money saved on batteries, is money you can spend on high quality photography equipment. Choosing eneloop batteries for photography also is a big plus for the environment. A rechargeable battery can be re-used many times, meaning you won’t produce as much waste as you would do if you were to use regular single-use batteries. And that can make a tremendous difference if you use batteries on a regular basis. And lastly, the batteries you purchase come pre-charged with solar energy.